The Spreewald is mainly known as gherkin country. 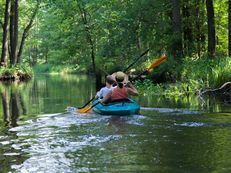 But this stretch of land where the River Spree suddenly gets lost in hundreds of little streams, has much more to offer than the tasty green ambassadors of the Spreewald. 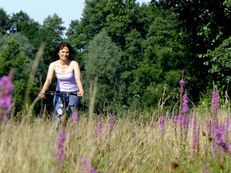 The UNESCO Spreewald Biosphere Reserve preserves a unique habitat for numerous species of animals and plants - and is therefore the perfect location for all nature-lovers who wish to enjoy their holiday in the Spreewald. 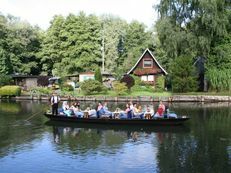 The traditional boats still shape the everyday lives of many Spreewald residents. For a long time it was the only means of transport - today the boats are comfortably equipped. 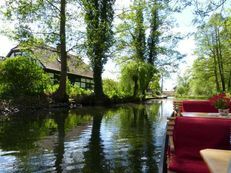 So if you're spending your holiday in the Spreewald, you definitely shouldn't miss the chance to take one of the many boat trips on offer in the Spreewald. The Spreewald is bilingual. Situated in the Lausitz region (Łužyca), the Spreewald (Błota) was settled by a small Slavic tribe known as the Sorbs/Wends. They were cultivating these lands more than 1,000 years ago. Their own mother tongue, their traditional costumes and their customs live on today and are of inestimable value to our local history. 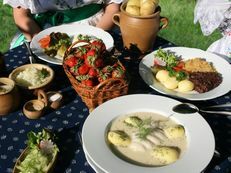 Numerous events in the Spreewald, on the streams as well as exhibitions on and in the water, form part of the cultural diversity in the Spreewald, as do the museums and cosy cafés. In the summer, the towns in the Spreewald will welcome you to their traditional and popular Spreewald Marksmen's Festivals.